As I sat to write the other day, I recognized my reaching (a little more). That because 4 colors of pen were available… because they fill my surround when I am annotating texts I read… more voices seemed to join the conversation. Perhaps intoned by the colors, perhaps offering myself other conversations, altering access, even as the shape of the page contains my possibility. Or evokes it. There was a fox with a beautiful tail. And wondrously colorful. Like a dream, but tangibly perceptible. No, an actual. Not a virtual. An imagining. Beauty. And this, it is said, is philosophic thought… the questioning and caress of what is, unknown. What I do not know. Have not experienced. Know this way. Experience. Experiencing. Almost like a dream, but languaged now, i.e. controlled, labeled, made discrete and symbolically communicable…signified. Not that. To cross. Trans-late. Waver boundaries of meaning. Only to continue discretely, or to discretely continue. To work at the edge… both/and versus either/or versus verses… Weaving. Text-ure. Someone or something is living. Is being. Perhaps simply is. Perhaps that… if only we knew. If anyone could. Dip and scratch, gesture, limit, now one, now another, both? The thread, the fox’s multi-colored tail. Needle. Point. Pierce. But the thread connects above/below, under/over, in/out, alike… just traversing, transforming, betweening, continuous. Air, breath, blood, wave, particle, motion, fluid… Almost a point-of-meeting, a multi-sided trace, not a touch. Not touching, perhaps. But touching’s not a point of contact. Where do you feel the touch of your hand to a leaf? The touch of your hand to yourself…? Participate? Renew? Anew? A gain? Adjoin. A margin? Where what, which, might be meeting – meets all ways? Area? Neither/nor, both/and, reciprocity? The fox’s tail is never still, too many hairs to distinguish, melded, trembling in airy surround. Sometimes the light seems colored, sometimes the fox’s tail. Always part question, regardless the notion, emotion, or statement. Only a question, questing, going-on/in/for/toward/away? I saw colors in the light, or air, I “took” to be a fox. I ex-tracted, ab-stracted, perceived… removed and oriented, made foreign, recognizable. This woman is so beautiful. – What IF? What if we take back as we give, and offer as we reduce or remove? According to a receipt yellowed in the pages of The Impossible book, 16 years ago I purchased the Story of Rats by Georges Bataille. Questions are asked. I ask them myself. Today I got bored of it. Rue-in, is what ‘I’ seem to do. Bring sorrow, lack, and loss with each perception, each calling, each again/comparison/re-cognition…Ruin, rue-in. Touching, seeing, tasting, smelling, hearing – continual selection and ignor-ance (DE-selection, de-lectory, de-clamation, di-visory…) rues-in, sorrows-in, i-dentifies creating lack, erasure, damage. The temptation together [to gather]…to peer and pry into, in, with…to test and to try…to extract and bring, to-gather… to form-u-late. AFTER experience, to create other…posit(-ion) a “You,” “out,” exo-, ex-tend, ex-plain, ex-haust, ex-hilerate and ex-aspirate…to KILL, CRUSH, SLICE, DIFFERENTIATE…’I’ hiding somewhere in All and Every. An ‘I’ in All is AIL. Rue-in. Thrown. Splash. Change. Alteration. Altaration. Altarity. Othering. For-IN (foreign)… kernel. “In the beginning was the Word… was God… and God moved…and divided the waters…” (John 1:1, Genesis 1:1, 6, KJV) a Bar, a “firmament,” a permanent Between “called Heaven.” And so separating, separation be-gins…from the first very first motion, movement, change… ex-pulsion, ex-crement, ex-ultation, ex-is-stance. Out. OUT. OUT-of… posit-ion. Ex-perience. Prying, peering. Trying. Be-ing separates? Dis-joins? Dis-tracts? ‘I’ am a rupture. Dis-rupts: not two, not one. I stray, strive, volition, volute…de-story, de-volve. What am ‘I’ but a weapon-blade? Rue-in. And thus I speak, say with pointed pen…poke and pry and terrorize – ex-perience. Waiting for the passerby to pass. Contingency. To not open the door until the potential for harm is past. No apparent harm: adult man, skin color variance, divergent ethnicity, strolling outside the iron black gate surrounding my home, gesturing toward and addressing my small pet mammal (a dog) – ostensibly safely contained and separate – from the strange-other, (“stranger”) traveling past my abode on a designated path “outside,” a public sidewalk… yet no harm is ever apparent, or we’d be almost certain to avoid it. From behind the closed door, thus abandoning the small animal, the “pet” that I care for (“care”? – to keep alive with food and water, activity and touch – for what reasons I have never understood, it seems something we do, or something done to us) in any case (who “us”?) to me (“me”? ), in any case, in every case, (what is “case”? – case is what occurs), in any case the sensation that harm is imminent, is possible, that any/every-thing (or case) harbors potential threat – intrusion, oppression, obligation, response-ability – that ANY passer(s)-by may enforce (force what in? ), force “presence” (presence: the pressure of an other)…occurring-with. Mammal, woman, weather, man. Peril of change, of inevitable occurring, alteration, the inception of a “case.” Event. Permutation. Disaster. Perhaps. Wait for “it” to pass (ambiguous constancy of language, of pronouns, of perhaps). To be. No apparent harm, harm always arriving where not apparent, otherwise averted. Therefore damage expected everywhere, until proven otherwise or bypassed, for when has it ever been the “case” that harm, hurt, or affliction were not lurking unaware? Always caught “off-guard” when injured. As in “accident,” or un-fore-seen. Must not not-fore-see. Avoid wreckage. He passes by. Or she, or it, or they (ambiguous language and malleable, eminently referable, transferable, vague for application). No harm incurred (as far as is known). As who knows? Who might know? Or what? World transforms. Passers-by. Incidents. We have a “case” (who – “we”?). “I” step back, step in, amidst walls, barriers, rooms. “I” retreat. Evading catastrophe. Probable hardship. Imaginable uncertainty. Such is the “case,” my “cave,” a cave uncertain, unreliable, self-designated, no one knows. This (what “this”?) 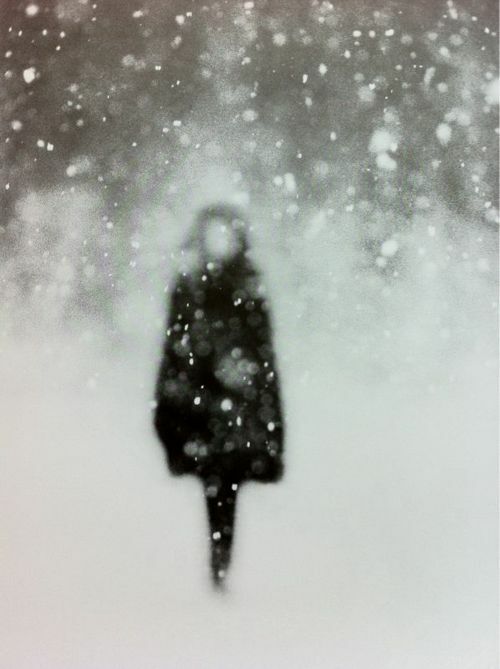 is vague – hurt has always materialized unexpectedly. Danger is disaster, or if not, no harm no foul, never wounded by suspecting, only oblivious or uninformed. Must anticipate harm. Less proven guiltless. Never guiltless. Never harm without an-other, without outside, without obscurity. What is “with-out”? When ever not with-out? With-out always. With. No in without with-out. Danger of disaster. Any definability requiring with-out. No in without out. Being with out. Waiting for passersby to pass. Bye. No within then. Only out could be. In with in? Self-same. Tautology. A=A. How A without out? Without not-A? Without absence, other, space, not-line, shapelessness, void? A=A because A is distinguishable from. Distinct. From – ? Without. Squirrel, leaves, air, skin. Cells, organs, activities and processes. Even what’s “in” is “out” for “with.” “In” “with” “out.” A=A. So say. Think. “I.” Passing by. Table, paper, pen, without prompting “in.” In without as well. No “in.” A=A. IN WITH OUT. Out the “within.” Without in/out. Writing. Saying. Bleeding. Breathing. Only think with out. All out, away, a way. Wait for a way to away. Within/Without. A/A. No equals. Never equal. Pet mammal dog, own voice, man, woman, child, sensation, language, molecule, atmosphere, ground: without with-in. WITH, then. Simply with. No out, no in. All danger and disaster, potential and unsuspected harm. Can not. Unprotected. Only WITH. No out, no in. Waiting for the passers-by. Passing. Bye. What she set out to do, she did not achieve. Intention and realization went un-joined. Which in no wise implies that beauty was lacking. Or interest. There were still trees, efforts, water running here and there, struggles, many other animals, emotions, scenes. Nothing, really, was lost in failure. But what could be? Nothing that might potentially eventuate (from action, intention, emotion, or hope) is ever known, therefore where could failure lie? Ice is its own phenomenon and occurrence, regardless. Such strange wet-dry thing, fluid and solid becoming-unbecoming. The sound of a voice – perhaps of an “inside” impossible without “outside.” Many “things” are in-between. Ever on the way to something, ever proceeding from. He found it all incalculable, without appropriate measure. Which was not what she intended, not what she set out to do. Yet could not be called a failure. For who or what might measure that? What thermometer, rod, or calculating machine might tally such “results”? In relation to what when where? And how might “results” be defined? The term for an idea or concept named “beauty” being interesting in itself. Apparently something pertaining only to them (these so-called “human subjects”). She intended to express, or so it seemed to him. Set out to communicate an experience with her surround, a something she was hoping to say, to give voice to. This experience was such that she perceived it as something transpiring for her in such fashion as to not be readily apparent to others, nor easily translatable (even observable) to those arrayed around about her – both those with whom she valued attachment and reciprocal relations, and any “others” – in this case whom (a human kind of self-referencing versus what or how) – might be capable of demonstrating care, comprehension, or attention to what (or how) she was “experiencing” (i.e. having a felt-living-sense with and within her environment). He (perhaps the proposed recipient of her attempt of expression) found all of it incalculable, and without appropriate measure. He, in his own idio-specific way (or relation) to whatever (whomever, however he considered his ‘surround’) was entrenched in his own meticulous (incalculable and immeasurable – at present time of writing – by ‘science’ or current ‘arts of knowing’) particularities of being-with / affecting / effecting / participating in his perceived environment [what, as a sort of short-hand, might be termed his Umwelt (look it up! )]: what happens to matter for him. Some have called it ‘sense-making’; others’ ‘making-sense.’ Many (in some strange-impossibly proposed ‘objectivity’ – a falsified, imaginary distancing involving a blind delusion of “as if” they were NOT in fact WHAT they are – a kind of ‘sense-making-sense’ (in two senses of the word “sense”)): in other (no…in MORE) words: an ‘human’ account-possibility of its proceptive, perceptive, immersive and recursive experience WITHIN its surround AS IF it were not. I.e., fiction, or fantasy. So far as he or she have been able to uncover – NO ACCOUNTS of human experiencings have been proposed, recorded, or proffered by other-than-human ‘beings’ that any human has been able to perceive, understand, or translate…therefore there are no ‘objective’ (distanced other) reliable sources for measuring, calculating, analyzing, reporting on, under-standing or evaluating the experiences of the human ‘he’ and ‘she.’ At present THERE IS NO OTHER with which this kind (‘human’) might informatively and effectively communicate, learn, argue, or confer…only itself. [Which may be the situation of all cells, plants, animals, stars, etc…but humans can’t know…being all too human, after all]. None of this was her intent. No content recorded concerns what she set out to do. But this in no wise indicates MIS-take, for there is no future in advance which one might con-fuse, err, or malfunction toward. The next simply is, just like any number of things before. All options extremely limited according to case, kind, and percipient. In the case of this writing – ‘human’ (so-self-called) KIND, as PERCEIVED and PROCESSED by itself only – with (thusfar) no other constituent or contributor except as designated and defined by its own self-kind-case. The ‘human’ has NOWHERE to turn for what it considers ‘knowledge’ (he thinks) excepting NOW HERE and AS ITSELF (he thinks) while perceiving in ways it already has experienced to be variegated, faulty, and vague. (Perhaps all living things) he thinks (but certainly all human-kind) affords no outside source or viewing, perception, communication, expression, or understanding/interpretation of itself. It only confers with itself and its surrounding (as experienced according to itself and slight variations of itself over time). No human could be considered “reliable” – if re-liable were intended to re-fer to “reality” – taken to signify THE CASE OR STATE OF THINGS beneath, before, pertaining to, and beyond THE HUMAN BEING AS IT EXPERIENCES ITSELF ‘to be,’ he thinks. She cries a little. Wishes something. Or so it seems to him, in his NOW HERE. She intended other-wise. Goes quiet (from a ‘human’ – so-self-called, ‘perspective’). It is quiet. Perhaps from many perspectives. ‘Human’ science (arts of knowing) claim that snakes (so-humanly-called) can’t ‘hear,’ nor the clocks humans have made, nor cats, nor dogs, days nor plants, nor wood, nor dirt – whatever else ‘humans’ are able to notice and create or differentiate in any given perceptive scenario. Between like kinds, this is NOT what she set out to do, nor intended…and only the ‘humans’ (“so far as we know,” he says) might even be capable of de-signifying, de-coding, com-prehending (perceiving-together) these sounds, marks, signals, gestures, movements, motions between them. And here you (perhaps) are … reading (de-coding, de-signifying, transposing, translating) … “IT” (according to your NOW HERE). What she set out to do she did not achieve, nor he. But of course the proposed possible, capable, or potential of ‘setting out to’ is not known… so WHO knows? The intention and realization have not joined… or have they? Who or what might measure (and when and how) calculate, evaluate, or demonstrate that? “They” seem left / bereft purely to themselves. If a lion could speak, apparently we would not be able to understand it. And so ‘he’ and ‘she’ make sounds, motions, and varieties of contact (according to ‘human’ perceivings) on a ‘porch,’ in a ‘house,’ through various ‘rooms,’ ‘spaces,’ ‘surfaces,’ and so on. Birds chirp (according to the ‘hearing’ of ‘humans’), clouds drift, squirrels chitter, grass wavers, and so on all the same (according to ‘human’ sense-making-sense)… ‘he’ sets out, intends, struggles, interacts, and feels with ‘his’ surround (NOW HERE), as does ‘she’… neither achieving their ‘goals,’ neither controlling nor creating any realizations they intend – albeit with NO knowledge of what they might actually be able to evince or conjure – all having not yet occurred. It would appear (to the ‘humans’) that many many ‘things’ (stars, genes, planets, soil, weather, corporations, arachnids, societies, viruses, equations, materials, activities, and so on and so on…) just carry on their various “natural” (according to their kind) ways regardless, in spite of, in ANY case, in accord with… with no ‘concern’ for ‘hers’ or ‘his’ intentions or settings-forth or out to do. And so it goes. And so it goes… on… apparently. Still, what she set out to do she did not achieve…whatever that may have been. This then, an impossible object with possible beginnings. What says, what writes, what IS – all filled up with what is NOT. Capture, mediation, confluence. The impossible attempts, the radical effort: I attempt to SAY, to INSCRIBE, that which is incapable of being said, inscribed, touched or revealed: experience, THIS-NOW-HERE, YouMe. This is what, then, I will create / not-be-able-to-create. Alias awakens to disquiet. Comprehension out of joint. The motions, the motions, but nothing complies. He does not feel so he touches the knee of his son. Yes, he seems to be there. Words with their sayings and tellings aren’t meaning. Perhaps he hears. Feels he doesn’t have pants on, but perceivably they’re there. Goes to bathroom, masturbates, conjuring images of his love. Disconnect. He is not sure that he is here. Or where it is he is. Not the trees, not the road, not his car. Many things are missing. Not his thoughts. Not pets, not postal service, not sky. He’s come unfastened. The motions, the motions, he makes coffee. The motions, the motions, he showers. But did he use shampoo? Deodorize his pits? Remember the drop of cream? Are those his feet? Walking into work they all take notice. Is he bleeding? Checks his hair, his face, his clothing. Is he stinking unawares? Deactivated and decoupled, unable to correlate. He’s in his chair. He’ll go for water. He’ll check again. He’ll look through letters, notes, to-dos, he’ll use his fingers. He seems inoperable, confused. They’re noticing. He hasn’t spoken. He puts on music. Sits again. He looks at language, hears some sounds. He’s not authorial, nothing gives direction, nothing issues commands. Disjointed and isolate. He tries to sleep. The dreams don’t follow, the eyes don’t rest. He is confused. He is detached. He looks at pictures, attempts a memory. Everything is near and quite intangible. Everything is distant. He cannot cry. He cannot feel it. He isn’t thinking anymore. Something is unhinged. The motions slow, the motions blur. Not conscientious. No recognize. It seems there are duties. It seems related. It seems forgotten or never begun. He’s too much there and not enough. Unavoidable and out of sorts. He cannot hide and there are others. He tries the motions, and the motions, and they’re still without sound. He can’t compute. Head in his hands on his desk. His eyes are burning. He can’t find pain, locate discomfort. No ability to take account. He pushes objects. Cuts his palm. He walks again. The motions, the motions. There is no wind. The sun pervasive. He sees some plants. They are not there. They have not grown. He is alone and everything knows this. Dissociated. He’ll try again. What will he try? He’ll try the motions, he’ll try the motions. Alias motions with his hand. It comes undone, it does not signal, there is no shadow. Too much shadow. He looks around. There are the others. They seem to wince, to look too much, to look away. There is no commerce. There is no passage. He sits again. He hears a sound. He thinks the hearing. He tries his luck. There is no luck. He wants to realize. Anything. Something. Perhaps. Maybe. Motions, motions, motions. He is not moving. Things are vacant. Alias impassive. He tries to speak. No one to speak with. He works at thoughts. All misremembered. He’ll try again, he’ll try the motions, keep at the motions, the motions. All the motions he will try. He has no purpose. The motions fail. Vacuous and without intention. Was only trying, was just to see. He cannot see it. The motions fail. He moves again. Things are dissolving. Disestablished. Without relation. The placing of propositions or clauses one after another, without indicating by connecting words the relation (of coordination or subordination) between them, as in Tell me, how are you?. “PARATAXIS, N.” OED ONLINE. OXFORD UNIVERSITY PRESS, DECEMBER 2015. Parataxis is a literary technique, in writing or speaking, that favors short, simple sentences, with the use of coordinating rather than subordinating conjunctions (from Greek for ‘act of placing side by side’; from para, ‘beside’ and tassein, ‘to arrange’; contrasted to syntaxis or hypotaxis). 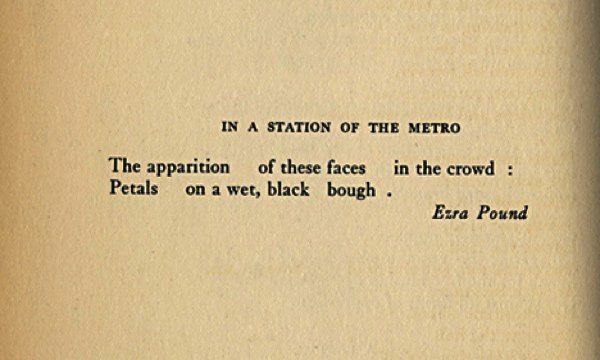 It is also used to describe a technique in poetry in which two images or fragments, usually starkly dissimilar images or fragments, are juxtaposed without a clear connection. Readers are then left to make their own connections implied by the paratactic syntax. Difference or change in the apparent position or direction of an object as seen from two different points; (Astron.) such a difference or change in the position of a celestial object as seen from different points on the earth’s surface or from opposite points in the earth’s orbit around the sun. Also: (half of) the angular amount of such a difference or change; (Astron.) the angle subtended at a celestial object by the radius of the earth’s orbit, giving a measure of its distance from the earth; any of various similar measures of distance calculated by methods incorporating the motion of the sun relative to the local region of the galaxy, the proper motion of the observed body, the motions of a cluster of bodies having similar distances and speeds, etc. “parallax, n.” OED Online. Oxford University Press, December 2015. Web. 7 March 2016. Parallax is a displacement or difference in the apparent position of an object viewed along two different lines of sight, and is measured by the angle or semi-angle of inclination between those two lines. The term is derived from the Greek word παράλλαξις (parallaxis), meaning “alteration”. A parallax is the difference in the angular position of two stationary points relative to each other from different viewing positions. Wikipedia contributors. 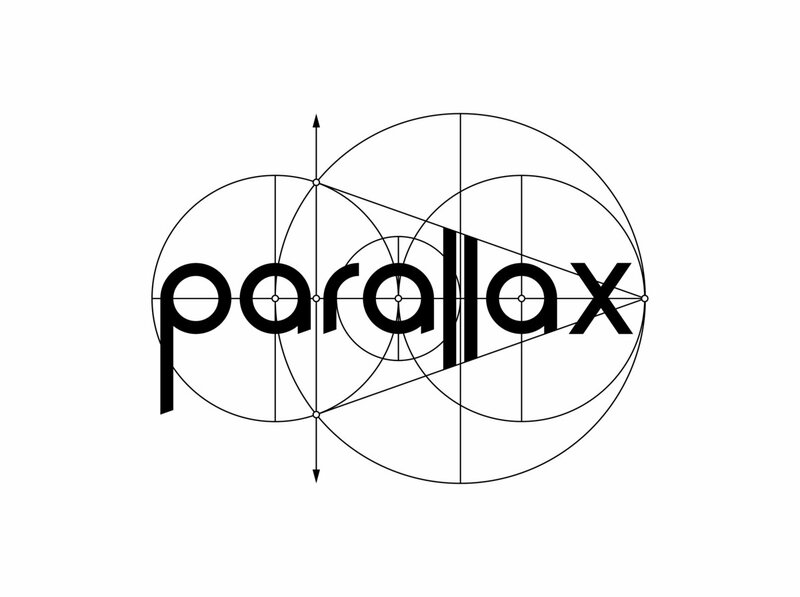 “Parallax.” Wikipedia, The Free Encyclopedia. Wikipedia, The Free Encyclopedia, 28 Feb. 2016. Web. 7 Mar. 2016. We say that we “wake up depressed” wonder why and conjure up reasons. What is this “hollow” or “indentation” in relation to? Depression versus delusion? Squirming up out of dream or slumber into wakefulness, awareness – illusions and solipsism scattered by light of day, by alertness – what would be the “norm” ‘depression’ dips under? Say we consider “normal” as the state or condition of being aligned with what is. The only certain trajectory of living is dying. Dying the condition of life. The only permanent outcome of breathing, saying, doing, being…are their cessation. In confirmation or conformation to this “reality” – what should be the normal living response? Depression, I should say, full awareness and wakeful understanding that my promise, potential, outcome and fortune are to end. Decay, departure and death are the certain “norms” ruling human existence. What occurs, forgets; what merges, diverges; what events, unravels; what happens, undoes; what is made, erodes. Assuredly, they are strange loops, ambiguous and temporal – more wave/particled than 0/1 – and yet as “fate” or “doom” would have it (definite futures) we know of no other. Therefore it should seem “depression” would be the normal human state of life, and all forms of happiness or joy come about due to some compromise or delusion – an abnormality – some neuroses or failure to accord or conform to what is. How might we have come to classify conformity to what is as a “disorder” or diagnosable swerve? “Certifiable depression” is marked as a disability, a failure to thrive, a condition incapacitating function. Yet does that not most assuredly accord with the certitude of demise, destitution, eradication? To terminate activity, halt health, conclude creativity, finish folly and destroy delight would all seem to indisputably align with the necessary phenomenon of obliteration. Thoroughgoing comprehension of what is – that birth has a single objective – that all roads lead to one – that all effort leads to naught – that entropy – is not lunatic, demented, deranged or unhinged – but rather most enlightened and balanced, intelligent and lucid, perspicacious and well-advised. Being pressed down, a lowering of quality, vigour or amount, feelings of severe despondency and dejection are surely the most accurately normal experiences – regulated, coordinated and adjusted to what is versus what is imagined or desired – indications of astute apprehension and capacities of apperception to the real. Do not be flummoxed by “waking depressed” – do not seek for treatments or reasonings ‘why’! – do not be baffled that a heaviness descends, or a ‘pressing down’ is felt or occurs – we emerge into life and descend into matter…the cradle and grave a continuous process.